I am sorry. I know it’s only Monday. And you are probably at work, trying to focus on numbers, stats, calculations and other important things. 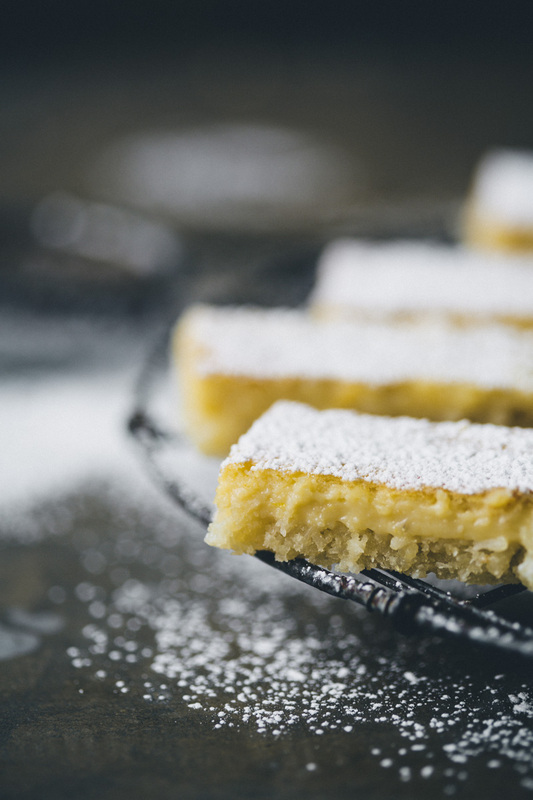 And here we come stealing your attention with the most delicious lemon bar recipe ever. So if I were you I would probably stop reading now. I mean it, stop now. Before I tell you that they are gluten free. And dairy free. And very quick and easy to make. Did I mention they are crazy delicious? Sorry. Get back to work now. 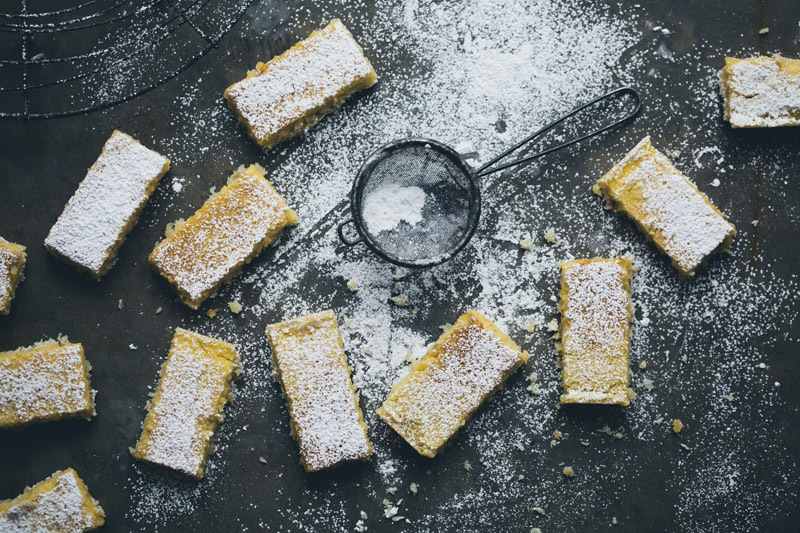 The thing is that we have always loved lemon pie and lemon bars, but when you try to make them healthier – without the flour, sugar and butter – you often loose all that is good and gooey about them. So instead of making a traditional gluten free pie crust, we did something else this time. Our crust is more similar to a coconut macaroon, sweetened with maple syrup and then flattened out and pre baked. 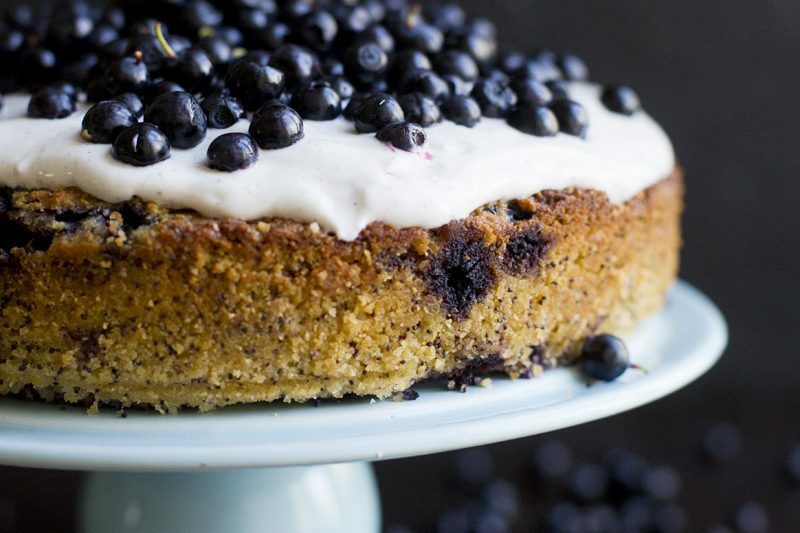 It’s perfect – sticky, sweet and gooey. 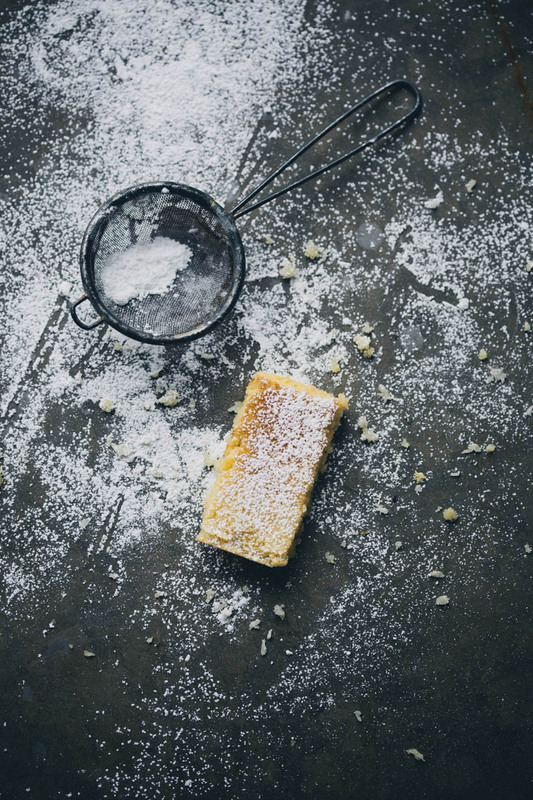 And then topped with a rather tart lemon filling and powdered with … no, not powdered sugar, but coconut flour. Yep, it looks strikingly similar! But if you prefer it sweeter you can of course use powdered sugar instead. 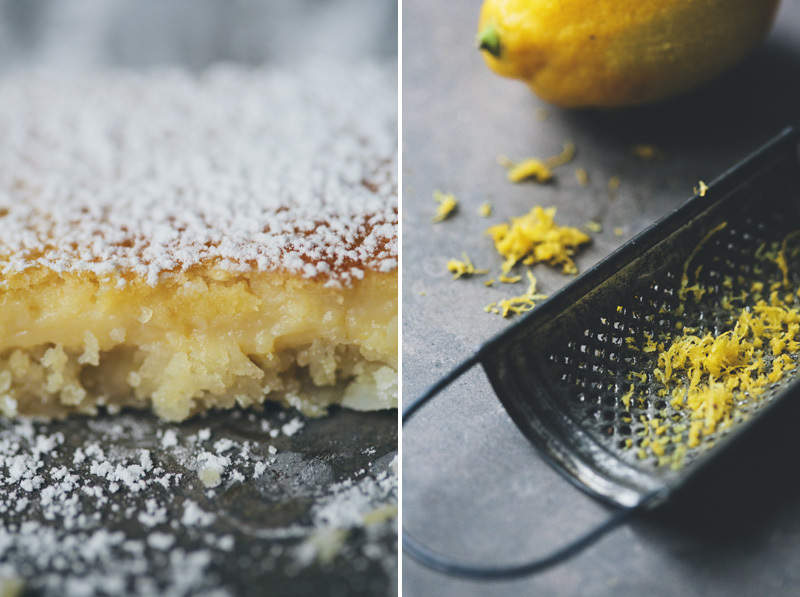 Lemon-bar-traditionalists might be concerned with how we tweaked this recipe. Claiming that they won’t taste like original lemon bars anymore. But they do, they really do. Sure, they have their own twist. But they still have everything that is good about a lemon bar. They are in fact better. This is a quite big batch, you could easily half the recipe. Also, the filling is a little more tart than standard. We think it is perfect, but if you know that you are sensitive either add more maple syrup or use a little less lemon juice. Set the oven to 350°F (175°C). Melt coconut oil in a sauce pan on low/medium heat. Add maple syrup, shredded coconut, almond flour and salt. Stir around until everything is combined. Remove from the heat. Crack two eggs, save the egg yolks for later and add the whites to the sauce pan while stirring. Keep stirring for about a minute. The mixture should be quite sticky now. Line a 12×8 inch (30×20 cm baking dish with baking paper and pour the coconut mixture into it. Use your hands, a spatula or the backside of a spoon to flatten it out. Press it down firmly so it becomes quite compact. Bake for 10-12 minutes and then remove it from the oven. Meanwhile, start preparing the filling. In a large mixing bowl, beat the eggs + the 2 egg yolks with an electric mixer until frothy. Add the rest of the ingredients. Beat for two more minutes. Pour the mixture over the baked crust in the baking dish. Bake for around 16-19 minutes or until edges are light brown and center is set. Let cool for at least 10-15 minutes before slicing up the bars. You always want to dig in immediately, but it is much easier to eat after it is set. Cut into roughly 1 x 2-inch (3 x 6 cm) rectangles. Dust with coconut flour or powdered sugar. Enjoy! These are stunning! I love that they are maple-sweetened and gluten-free. Yum! Oh yum. I am looking forward to giving this recipe a try! Ouhhh... They do look perfect. I just made lemon coconut cake this past weekend, it was horrible. Oh, I wish I'd have seen it before. Loove the fact they're gluten free, too! Best wishes from slovenia! I adore lemon desserts this time of year, and love how you've tweaked this classic and made it better! These are exactly what I need! 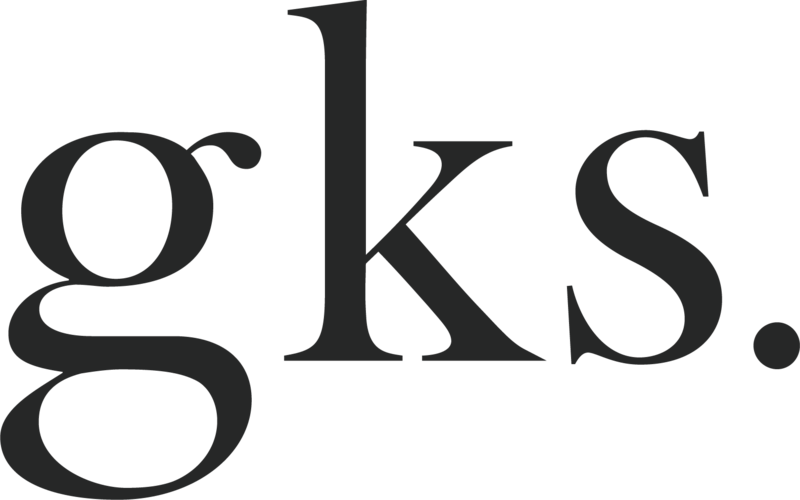 Hej, det ser virkelig lækkert ud! Jeg har lige et spørgsmål, som jeg håber, at I kan svare på - kan man bruge palmesukker i stedet for sirup? I så fald, hvor meget regner I så med, at man skal bruge? Ved I hvor meget palmesukker søder i forhold til almindelig sukker? Tak for inspirerende blog-indlæg, flotte billeder og velskrevne posts! so lovely! I have a basket full of meyers I need to use in the next two days. Just in time! Hej och tack för en fantastisk blogg! 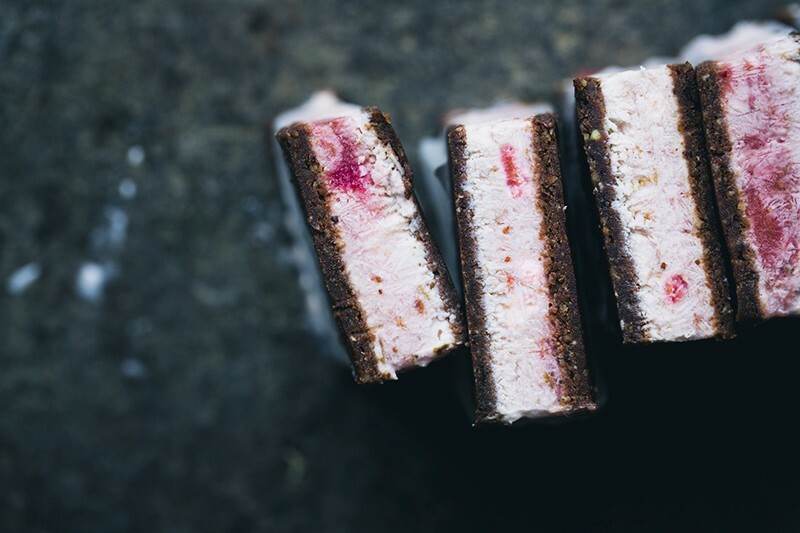 Har plöjt igenom ert arkiv några gånger nu och det inspirerar till tusen varje gång :) Sitter här med nygjorda "Hemp protein bars" (https://gkitchenstories.com/raw-hemp-protein-bars/) som blev helt fantastiska! Smakar mer som ett bakverk än nyttiga bars, vilket alltid är trevligt. Jag har dock lite undran kring era inköpsställen mm. Det blev nämligen väldigt dyrt, speciellt hampafrönen som kostade 110 kr för 230 g som jag köpte på den lokala Life-butiken. De andra varorna var också lite väl dyra för en gymnasiestudent (hittade dock dessa på Ica kvantum). Därför undrar jag var ni köper era varor - beställer ni från internet eller finns det någon butik i Stockholm som ni kan rekommendera? Här i småstaden Vänersborg är utbudet/konkurrensen såklart mycket begränsad men jag är i Stockholm hos min pojkvän regelbundet så då kan jag ju botanisera runt i butikerna där, bara jag vet vart jag ska gå! Vidare undrar jag om ni har några förslag på frön som kan ersätta tex hampafrön och andra extra dyra produkter? 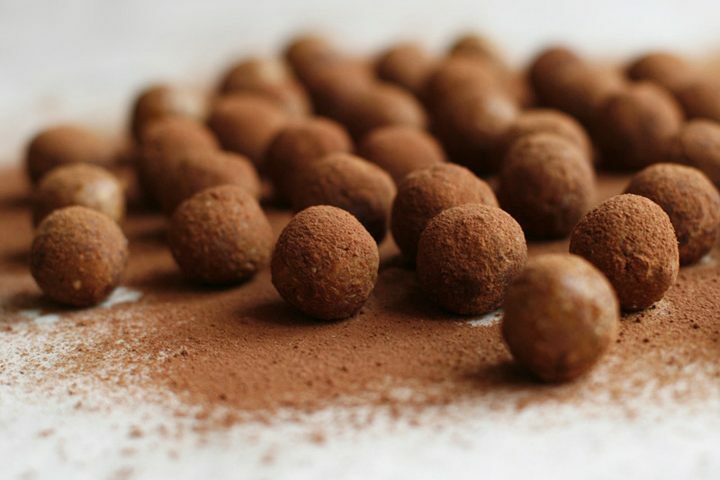 Är ganska ny inom superfoods-svängen och visste fram tills nu inte ens att man kunde äta hampafrön... Återigen; tack så mycket för denna fina plats på internet och jag ser fram emot kommande boken! Sounds so interesting and I love the combination of coconut with lemon. I always make the normal kind with egg and flour. This one, I have to try out! Hey guys, these look so irresistible! 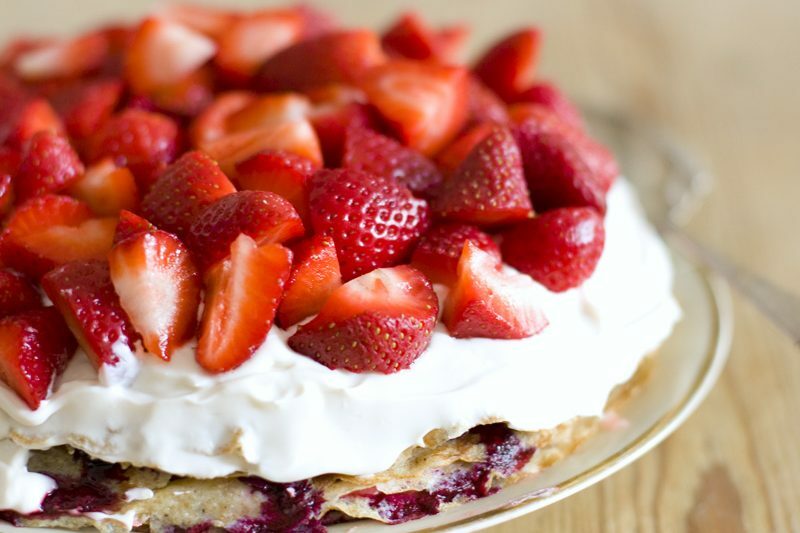 Turning complicated recipes into quick and easy-to-make dishes is a real talent, honestly! Thank you for the constant inspiration! I have tried them and they ARE delicios! 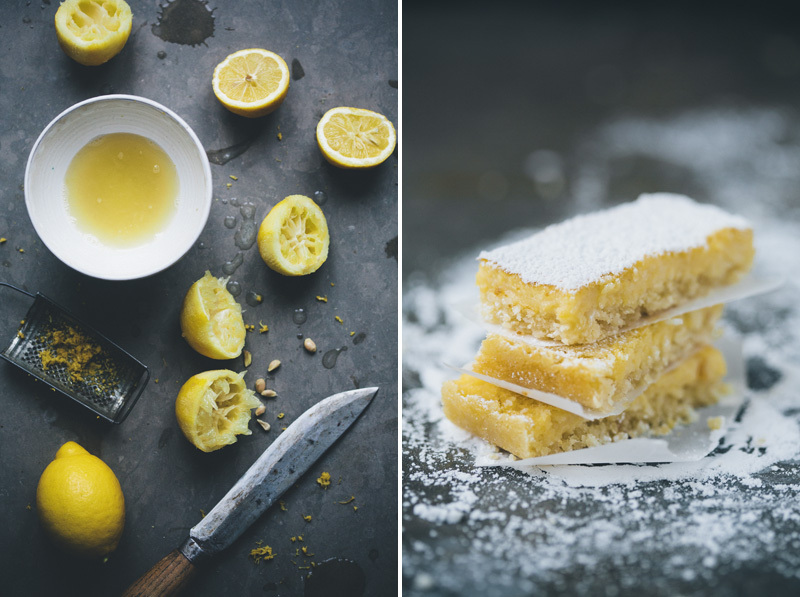 I just sent out a newsletter yesterday talking about how lemon (and citrus flavors/oils) are the perfect addition as they help curb sweet cravings because we correlate citrus with sweet treats and they trigger olfactory senses. SO pumped to share this on Pinterest and make it in my kitchen! Thank you! Waow! I'm so happy I subscribed to this blog because these look so good. I was just wondering if you can substitute almond flour? I have rice flour at home but have no problem buying almond flour. I'm a novice when it comes to baking and the myriad of flours had me boggled! Thanks green kitchen. 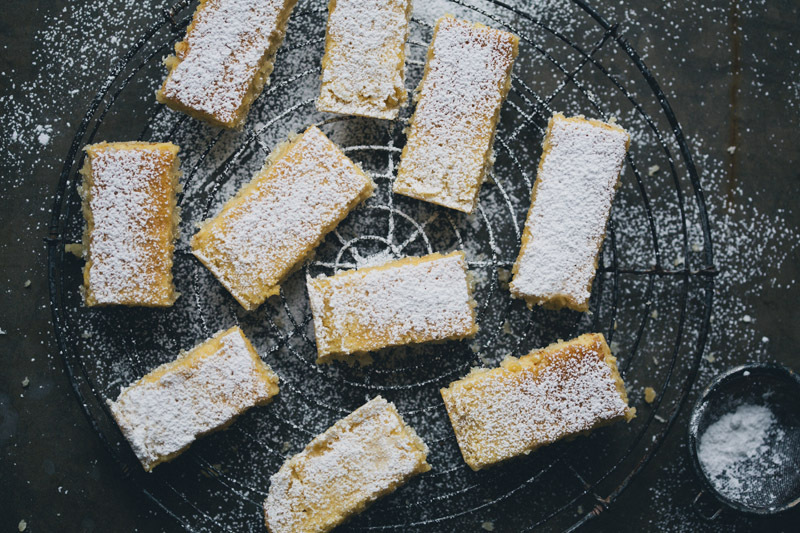 Hello, I have made the quick lemon bar of your cookbook. I used fresh medjool dates. My dough remained completely wet & even after 4 hours in the fridge it is still completely squashy. Do you have an idea, what I did wrong? Thank you in advance! these look absolutely stunning! i need to work on a veganized version of these, stat! I agree they look amazing, if you have any good ideas on how to make them vegan I'd love to hear!